Designed as a static lounge chair, the Hank’s sophistication lies in the details. The Hank appears in many of Jory Brigham Designs collections because of its versatility and variety of cushion options. This course will cover the upholstered cushion version. With 24 different joints, the chair is sure to be an interesting build. Jory primarily uses the Festool Domino for his joints. Save up to 40% on this project by bundling it with other Pre-Order Projects! More to come when the project launches. Jory Brigham is a California-born artist, designer and builder with a passion for creating lasting works by hand. Growing up among generations of woodworkers and craftsmen, Jory discovered his own creative voice within the family trade at an early age. Though his artistic inspiration pulls from decades throughout the twentieth century, many of Jory’s designs play with colors and textures to pair unique perspectives with classic, mid-century balance. Jory now creates in his dream shop located in Paso Robles, California, where he pulls inspiration from the beautiful landscape that surrounds him. 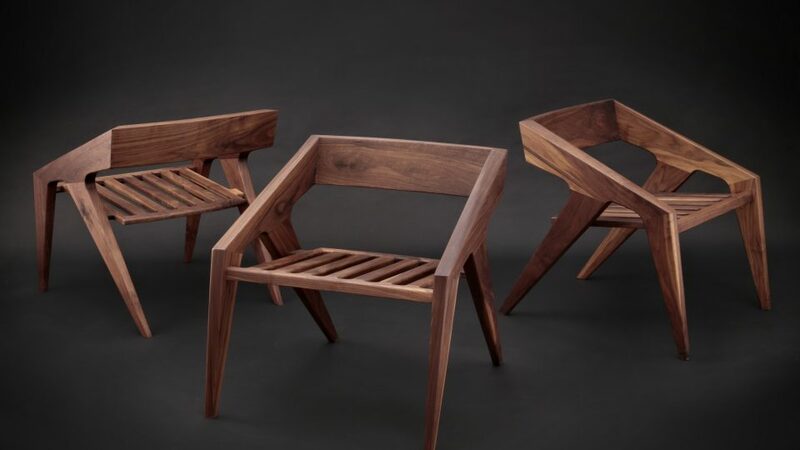 He loves sharing his knowledge and space while teaching workshops for woodworking and furniture design, along with running his primary furniture business. His main motivation is to show his two children the value of hard work and passion for their chosen career path, while constantly growing personally and pushing the limits as an artist.